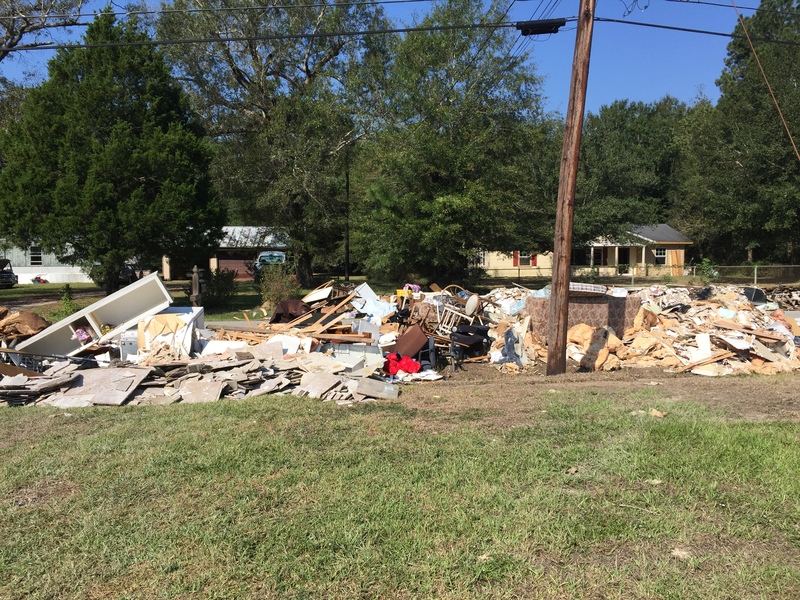 (LUMBERTON, Texas) A few weeks ago, a St. Paul’s mother, Denise Sheffield, decided to lead a mission trip to help people whose homes had been ravaged by Hurricane Harvey. We were going to go to Lumberton, Texas, which happened to be where Mrs. Sheffield previously lived and went to church, so the city held a sentimental value to her. About twenty people made the trip to Lumberton — students from St. Paul’s and Mandeville High, as well as parents and alumni. The first thing I noticed as we shambled out of our car was the grey that covered the landscape. The flooding deposited a layer of crud and silt that covered everything under the waterline. The second thing I noticed was the smell. It was the smell of saturated sheetrock, drywall and countless other household objects. We happened to be staying in the one church that did not take any water, which was a miracle considering the destruction that surrounded it. We woke up to cramped necks from sleeping on lumpy air mattresses and crawled our way out of bed to fuel up with coffee and biscuits, a typical Texan breakfast. After our breakfast, it was time to head over to our work sites. Driving down the road, we were flanked by pile after pile of house guts that had been hurriedly ripped out by people trying to meet the deadline of free trash pickup. Our job was to remove tile from two houses, and then go assist in the gutting of another house. Our homeowner was a jolly old man who was ecstatic to have us help him. So ecstatic, in fact, that it was hard to believe a hurricane had inundated his home just a short time before. The main thing I noticed was the sense of camaraderie and brotherhood between the people affected by this storm. Today there is so much focus on division and hate by the major news outlets. Everything that is covered has a political tangent attached to it. That is why I wanted to write this story: just to remind people that in times of hardship and crisis, people will help each other regardless of political views, ethnicity, wealth, religion, or any other thing that gets between people. People are still people, even if they don’t agree with you. The fact of the matter is that humans are essentially good, sometimes it just takes a disaster to bring out that goodness. 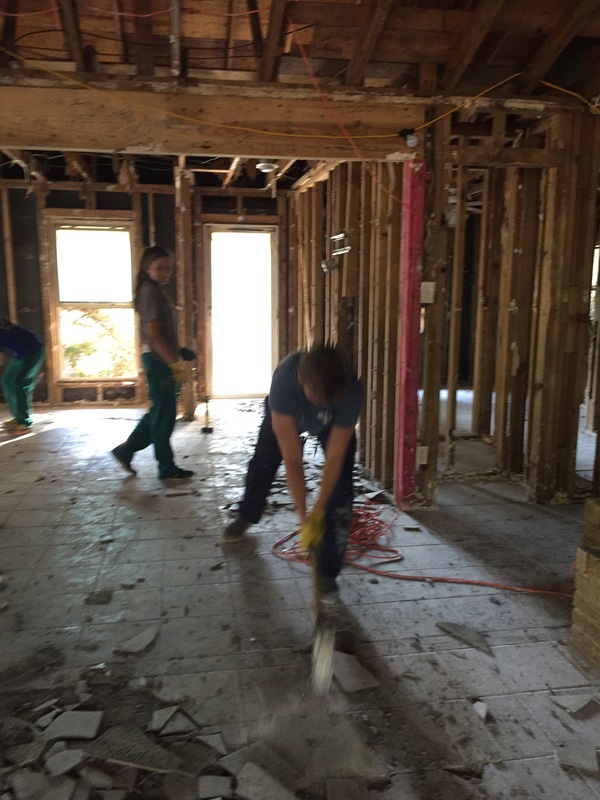 Hurricane Harvey destroyed homes and tore apart communities, but it also destroyed the walls keeping people from helping and accepting each other.